Here is a comprehensive list of family fun activities in City of Toronto, Canada including fun attractions to visit and things to do together as a family in Toronto. Attractions outside Toronto city limits are not included in this article. See – Itinerary for a 3 Day Toronto and Niagara Falls Trip with Kids, if you are visiting Toronto. Family Weekend Activities in GTA for weekend specific events and activities happening across GTA. You may like Things to do in Scarborough. Admission cost listed are indicative and can change anytime. Please verify before travelling. Age Category: All. Young kids may find statues and the grounds interesting. For camps and programs: Registration required. Age Category: All. City Hall Tour – best with older children. From here on, the article is arranged according to location. See the map at the end of the article. Hope on the ferry and take a voyage to the land of family fun. There are PLENTY to see and do here. 1. Have a picnic and go on a bicycle ride (bike rentals available) around the Island. 2. Be joyful in nature’s simple treasures and have a beach day at Central Island Beach (Blue flag certified). 3. Play Hide and Seek at The Franklin Childrens Garden. 4. Visit the petting zoo at Far Enough Farm. 5. Join the scurvy crew, become a buccaneer and board the 45 foot Pirate ship and set sail in search of sunken treasure with Pirate Life: Adventure, Theatre and Cruise. 6. Ride miniature roller coaster and go on train rides at Centreville Amusement Park. All other attractions other than Centreville Amusement Park and Pirate Life are free. Centreville Amusement Park: Admission free. Rides ticketed. All ride pass $26.00 (under 4 feet tall) & $37.00 (over 4 feet tall) online. Extra $2.00 at the gate. Take part in festivities and multitude of activities happening at Harbourfront Centre round the year. Website. 1. Bike or enjoy a relaxing walk along the Queens Quay Promenade. 2. Go paddling at the Natrel Pond in summer. 3. Enjoy skating in winter. 4. Take part in special family activities held round the year. 5. Explore parks along the waterfront. Cost: Free. Rentals: Paddle/ Canoe – $4.00 & up. Learn about the history of sugar and sugar industry in Ontario, how sugar is processed, and about the man that started it all – John Redpath. There are displays of various types of sugar packages: from old to new. Website. Immerse yourself in the marine world. There are fishes and all kinds of marine species (over 13,500) from all over the world. For young children: there are playgrounds and crawl tunnels that goes underneath the aquarium tanks and that allows the kids peak into the tanks. More about Ripley’s. Cost: $29.98 for Adults, $19.98 for Youths and Seniors, and $9.98 for Children (Ages 3-5). Reduced pricing Online. See old locomotives, freight cars, and railway structures; enjoy half a kilometer miniature train ride, and be an engineer at the museum.The Thomas the Tank Engine fan with you will love seeing an actual round house. Website. Soar to the top of Toronto’s iconic landmark in 58 seconds. Feel the power of wind on you as you enjoy the breathtaking views of Lake Ontario and city of Toronto landscape from 1136 feet above the ground. Website. Cost: Adult (13-64): $35.00 & up; Senior (65+)/Child (4-12): $25.00 & up. More at the gate. You need to pay extra to go to the topmost viewing platform. 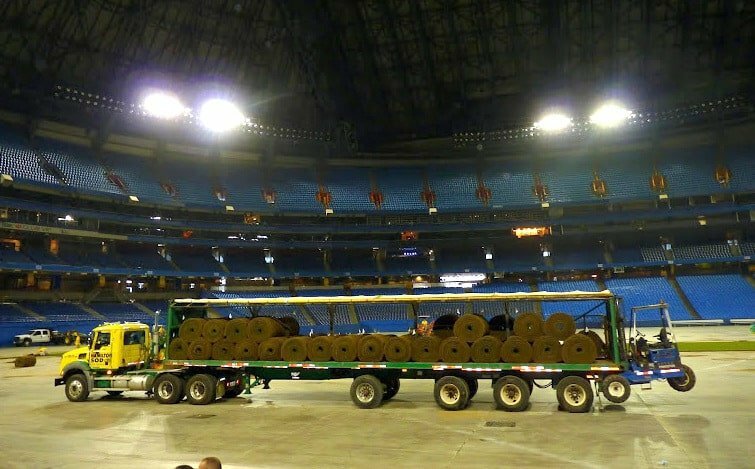 Explore Rogers Centre by going on a one hour fully guided behind-the-scenes tour. See (if happening at the time of the tour) and learn how the stadium can change configurations from baseball, football and concert modes as you tour luxury suite, press box and various seating levels of the complex. Website. Built in late 1700s to defend Upper Canada from United States, Fort York has a large collection of original War of 1812 period buildings. During summer months daily demonstrations of infantry musket firing, artillery and military music are held making a trip to the historic site truly fascinating. Website. Children 5 and under are Free. Admission varies during special events (and sometimes free). Take your budding hockey player to Hockey Hall of Fame and have an immersive hockey experience. Children will love to touch the Stanley cup; facing-off against life-size, animated versions of today’s top players in a model rink and exploring an unrivalled selection of hockey-related merchandise and memorabilia with in the store. More about Hockey Hall of Fame. Food! Delicious Food! Who doesn’t love to explore isles and isles of delicious food, from yummy cookies to exotic vegetables. Enjoy the sights and the smells as you explore the market situated inside 200 year old building. Website. Explore a collection of more than 12,000 textiles from around the world including unique fabrics, ceremonial cloths, carpets, garments and quilts. Try out weaving looms, and other interactive exhibits and learn about history of clothing in the museum dedicated to Textiles. Website. Tour the last home of William Lyon Mackenzie, city of Toronto’s first mayor built in Georgian architecture style. Learn about how life was in mid to late 1800s, and Toronto and Ontario history. The museum also holds children’s activities throughout the year. Website. Delve into the world of art – Art Gallery of Ontario features unique works of art from all over the world and the largest collection of Canadian art work. There are lots of fun family activities throughout the galleries making the visit entertaining for young kids also. Website. Explore the conservatory built in 1910 through its different sections that houses the water wheel and plants like Orchids, Cacti and succulents, a plantains and pines intermingled with seasonal flowers. 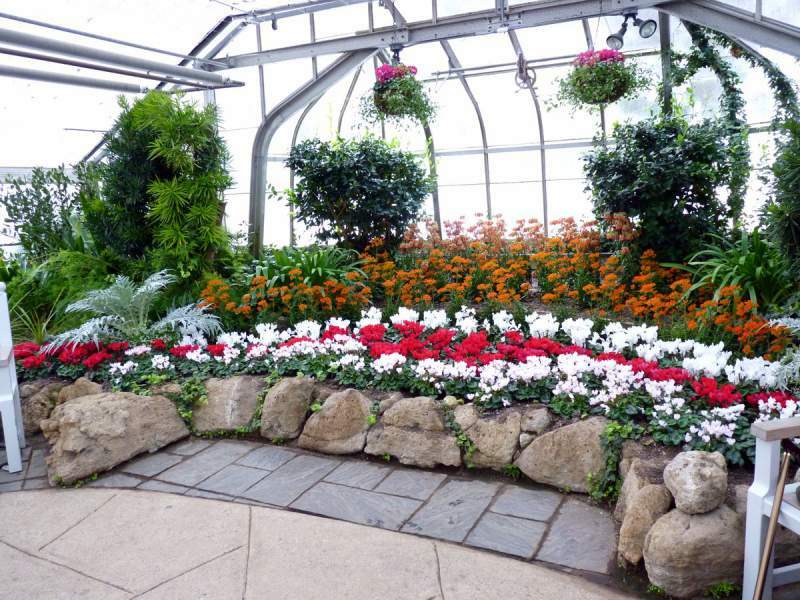 Enjoy the sweet air of the conservatory as you explore exotic flowers and plants. More about the conservatory. Cost: Adults $3.00 Seniors (65+): $2.00; Children(12-) : $1.00. Visit must be booked in advance. Explore the world through shoes and enjoy a unique learning experience about the cultures from the four corners of the earth, societies and people who wear them. The Bata Shoe Museum house over 13,000 foot wear related artifacts in the only North America museum dedicated solely to the history of footwear. More about the museum. One of the largest museums in North America, Royal Ontario Museum is a delight to visit. With over thousands and thousands of artifacts that range from a large collection of fossils, hands on galleries for children, fine arts, Chinese and Japanese art and architecture, Egyptian mummies, mounted birds and displays of various species of animals. More about the museum. A speciality museum dedicated to ceramics. Explore the displays of ceramics from around the world, and period porcelain pieces. The museum also hold special programs and clay studio classes for children and adults. More about the Museum. 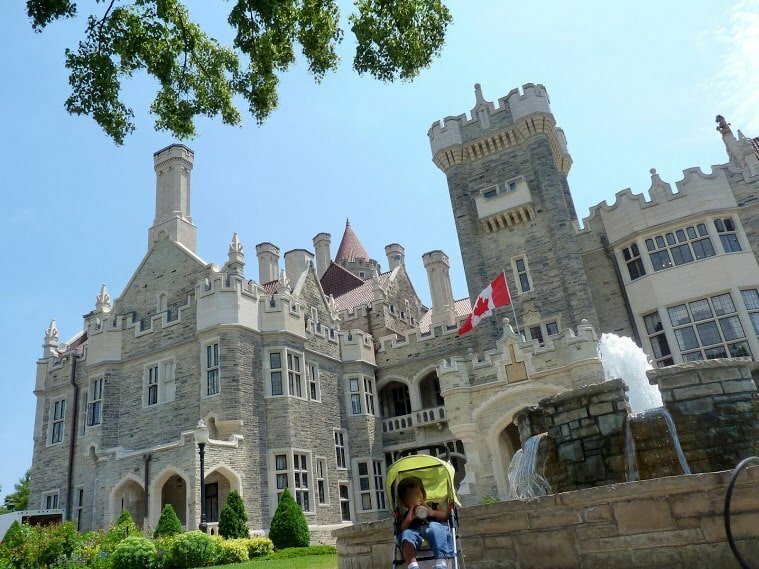 Explore Toronto’s castle built by Sir Henry Mill Pellatt, a Canadian Financier in early 1900s. Climb the winding staircase to the top of the tower, relax in the stunning gardens, walk the tunnel to the stables, and explore magnificent rooms set up in period furnishings. Website. Have a relaxing time exploring the gardens and the historic house that belonged to the Austin family. Take a tour of the house and learn the history of Toronto, and life in early 1920’s. The house is richly furnished with period authentic pieces. The city holds free live concerts during summer months in the gardens. Website. Cost: Adults: $7.96, Seniors (65 +): $5.75, Youth (13-18 yrs. ): $5.75, Children (6-12 yrs. ): $4.87, Children (5 yrs. and under): Free. Gardens are free. Get away from the hustle and bustle of the city and explore the green space that is situated in the middle of the city. 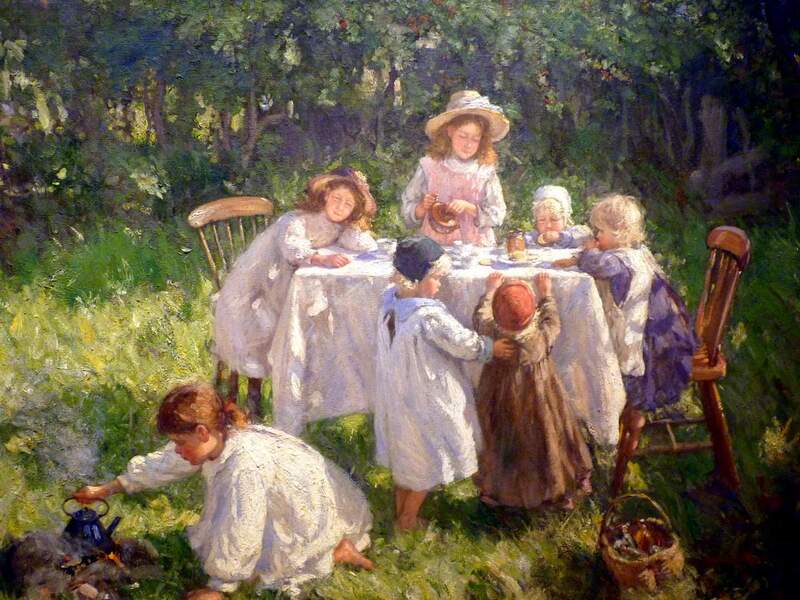 Children can play in nature play areas, explore Weston Family Quarry Garden & Don Valley Brick Works Park that was a clay and shale quarry for one hundred years and go on a self guided wild flower tour. There is an outdoor skating rink and multitude of nature trails to explore. The site is also a venue for a great Farmers Market, and a cafe featuring locally sourced food. Website. Site of an old lumber mill and 1800s industrial complex and village, Todmorden Mills preserves few historic sites and 9.2 hectare wildflower preserve. The Papermill Theatre and Gallery hold art exbitions, show and sale, and live theatre performances. Children will enjoy exploring natural habitats and seeing natural life at the swamps and wet meadows. The city of Toronto also hold special programs for children. Website. Spanning over 400 acres and famous for its cherry blossoms, High park offers of plethora of activities for all ages. In summer enjoy Shakespeare in the Park by Canadian Stage Company. The park also features splash pads and wading pools. 1. Enjoy watching a variety of birds and marsh wildlife at Grenadier Pond and enjoy nature at the park – one-third of which remains in a natural state. 2. Visit High Park Zoo and relax in the gardens. 3. Take a ride in the trackless train and kids can play in the Jamie Bell Adventure Playground. Website. Cost: Free. Trackless Train: Adults $4.50 per person, Children/Seniors (65+) $3.50 per person. Explore this charming cottage that was the home of John George Howard, a prominent Toronto citizen and founder of High Park. The house is furnished with period 1860s furnishings, and paintings by John George Howard. The city holds popular programs during Halloween, and Christmas. More about the museum. Delighting visitors of all ages through thought-provoking experiences in science, Ontario Science Centre is always a joyful place to visit. Find scientific answers to everyday puzzles, learn about the night sky, see the Sun safely through special telescopes, explore the interactive, hands-on galleries that feature exhibits that range from astronomy to geology and watch great movies at OMNIMAX theatre. More about Ontario Science Centre. A museum of Islamic arts and culture, Aga Khan Museum offers interactive experiences on Islamic art. Displays of Persian and Moghul paintings, calligraphy, scientific instruments, and myriads of artifacts that depict Islamic culture adorns the museum. Website. Admission (in 2016): to the Museum and all exhibitions is FREE: Wednesday from 4 pm to 8 pm. Stroll down the winding walkways and experience the beauty of nature as you explore two of Toronto’s great gardens. With around four acres, Toronto Botanical Garden, with its 17 city themed displays appeals to all the senses of all ages. Edward Gardens (the site of Toronto Botanical Garden) features beautiful rose gardens and extensive landscaped pathways. More about the Gardens. Cost: Free. Free tours offered weekly throughout the summer. Erstwhile site of Toronto Zoo, Riverdale Farm is a great visit place to visit with young children. See farm animals and poultry at the Pig and Poultry Barn, learn about chores that happens in a farm, and learn about day to day working of a farm. More about the farm. Located on a man-made peninsula, known as the Leslie Street Spit, Tommy Thompson Park is a birder’s paradise.It is Globally Significant Important Bird Area and is an important stopover during migration. Enjoy hiking, cycling or a leisurely stroll on the park trails. More about the Park. 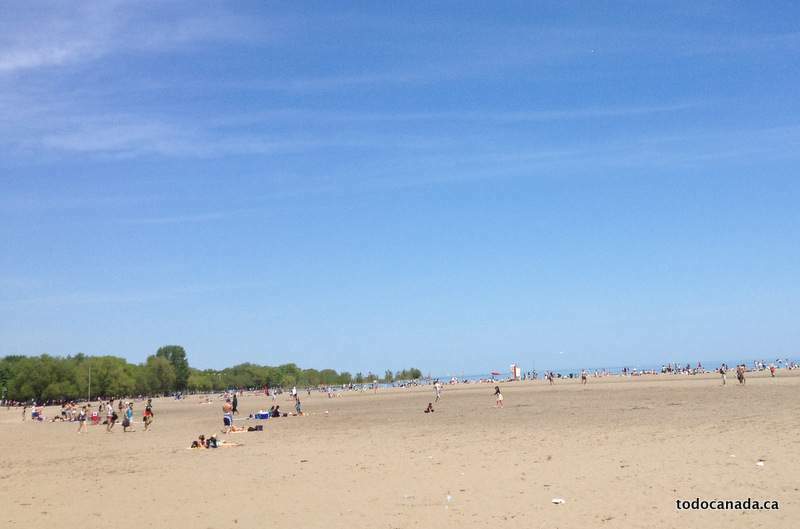 Toronto is home to 11 swimmable beaches including 8 Blue flag certified beaches. Enjoy a blissful day in the sun and enjoy water play. More about Toronto beaches. 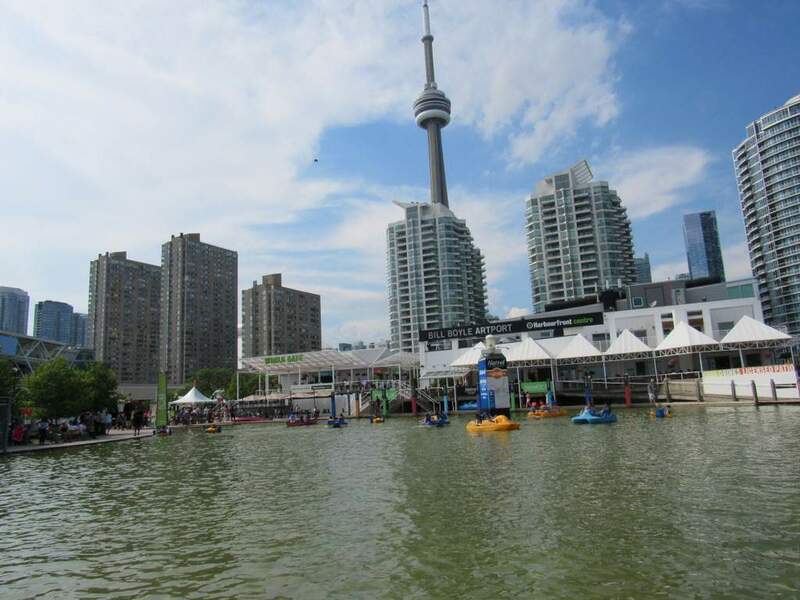 Visit the only outdoor water park in City of Toronto including a tipping bucket, spray rings, squirting aquatic animals and more that is open from mid June until the Sunday of Labour day weekend. Enjoy visiting this gem of a garden located in Scarborough. It is a relatively small garden with around 23 acres that offers great views of Lake Ontario. It is also is great place to watch birds of prey during early fall. More about the Graden. 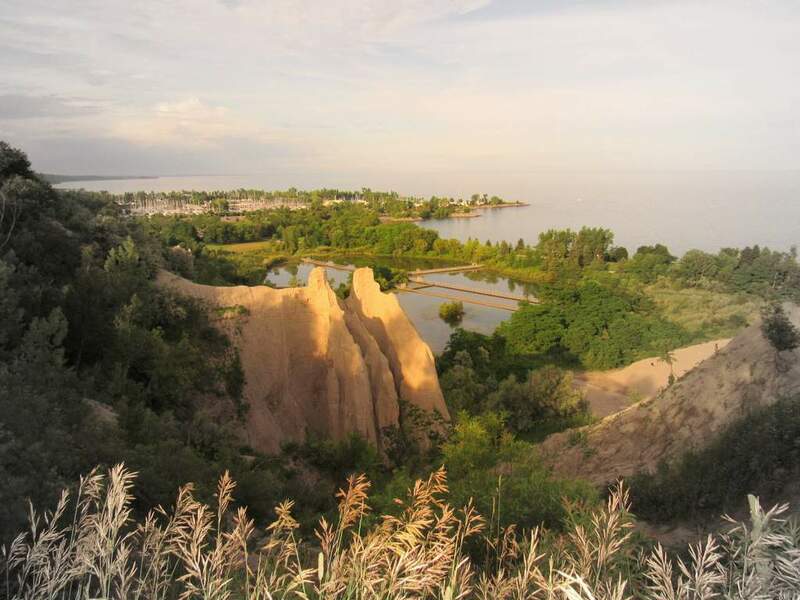 Visit the park that showcases Scarborough’s bluffs, enjoy the beach or a picnic, go for a stroll along Lake Ontario and learn how storm water is treated. More about the Park. Things to do in Scarborough. Explore Scarborough’s past and how the community evolved by visiting Scarborough museum. The museum has historical buildings and a recreated 19th century garden set in Thomson Memorial Park. 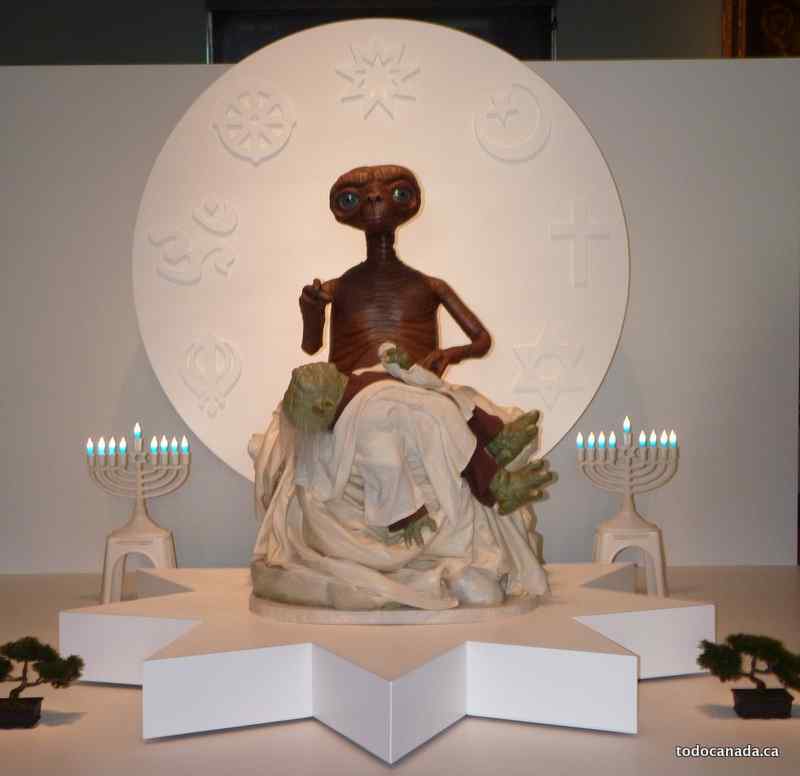 The museum also hold special programs for children. More about the Museum. Spend the whole day exploring Canada’s largest zoo. In addition to exotic animal that numbers over 5000, the zoo has plenty of rides and other fun attractions – Soar through the air on the TundraAir Ride, test your balancing skills at Gorilla Climb Ropes Course, go on camel rides and pony rides, and cool off at the splash pads. More about the zoo. Child (3 – 12): $18.00/ $14.00; Child (2-): Free. Reduced pricing in summer. The largest park in Toronto, Rouge park is home to Toronto’s only outdoor camping area. Explore glorious nature where greenery goes on forever, canoe, fish, have a beach day at Rouge beach. More about the Park. Cost: Free. Camping fees apply. Exploring Lake Ontario through shoreline is one of the best ways to enjoy a beautiful weather and nature. Most parts of the waterfront Trail are off road paths (dedicated trails): so you can take your kids without worrying about oncoming traffic. More about the trail. Discover what life was like in early Ontario, and get involved in the experience. 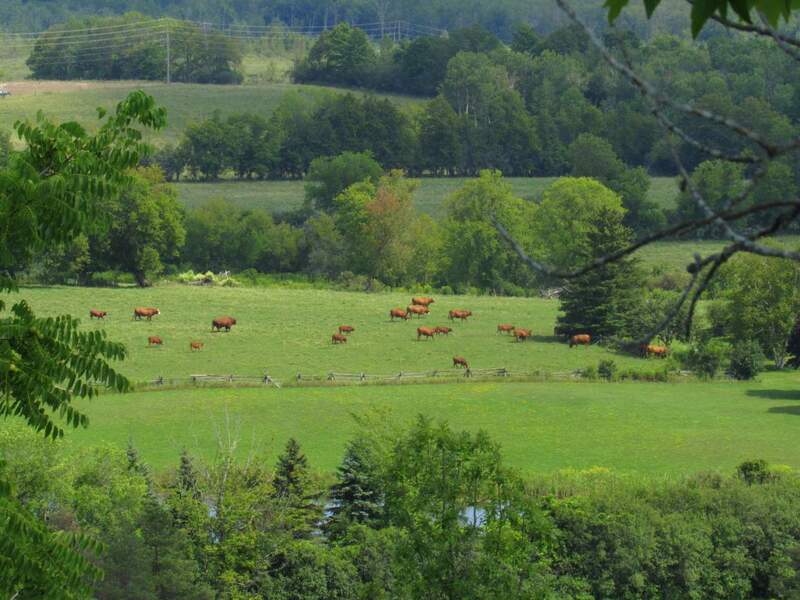 In the buildings, and surrounding gardens and farmyards that span more than 30 acres of pristine country landscapes, you will find historical interpreters and trades people in authentic period dress who will demonstrate and explain for you how people lived, worked and played in mid 19th century rural Ontario. More about the Village. Cost: Adult (Age 15-59) : $15.00; Child (Age 5-14) : $11.00; Infant (Age 4 and under) : Free; Senior (60+) : $14.00; Student (15+ with ID) : $14.00; Parking $7.00 (per car). Explore the museum that tells the story of Scottish immigrant David Gibson and his family, learn about Upper Canada Rebellion of 1837, and participate in period activities. More about the Museum. Learn how children were schooled during late 1800s & early 19oos by exploring historic schoolhouses in Toronto. Zion School House – City of Toronto Historic Sites: Built in 1869, Zion School House provided education to children in the community of L’Amaroux . More about Zion School House. Enoch Turner School: Owned by Ontario Heritage Trust, this school was established in 1848 by local brewer Enoch Turner. More about Enoch Turner School. Cost: You need to prebook your program. Opened during Canada’s centennial celebration in 1967, Centennial Park is home to a number of playgrounds, Centennial Park Conservatory, one of Toronto’s ski hills – Centennial Park Ski hill and Chalet, a designated toboggan hill and a multitude of nature trails. More about the park. Surrounding the Humber River, Humber Arboretum opens up Carolinian bioregion, the most diverse ecosystem in Canada, to the nature lover. Featuring over six kilometers of walking trails along themed gardens, forests, waterfalls, and stone paths, a visit to Humber Arboretum provides valuable insights into sustainable environment in urban spaces. More about Humber Arboretum. Home to one of two Ski hills in Toronto, Earl Bales Park is a great place to visit as a family in winter. Learn downhill through the programs offered by City of Toronto. During summer the city holds free live theatre programs at Barry Zukerman Amphitheatre located in the park. More about the park. Take a self guided tour of Humber Bay Butterfly Habitat learn and about butterflies, and wildflowers. The habitat is in Humber Bay Shores Park, which is another wonderful park in Toronto that offers great views of Lake Ontario and to bird watch. More about the habitat. Toronto is home to a multitude of world class family festivals and events. See Family Festivals in Toronto and Current Weekend Family Events for more details. Summer & Multi Cultural Festivals in Toronto. Toronto is home to a number of professional sports teams that spans the whole group game spectrum. Attend a game, cheer the home team and enjoy live action! In addition to above mentioned attractions, there are trampoline parks, laser quests, and other indoor amusement parks. See Indoor Amusement Parks in Toronto for more details. Toronto has a plethora of free family activities from exploring nature trails to tobogganing in winter. See this article for ways to save and free activities in Toronto. Wow, what a list! If you cannot find something to do from this list, you might be the problem!! I have had the pleasure of visiting a few on the list in my years of living in the city. The Rogers Center is an impressive building and my family always loves the aquarium. So much to do! thanks for the great list! 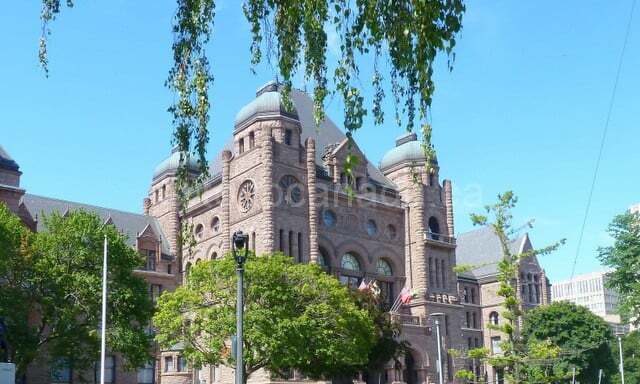 Your Toronto things to do list is awesome and useful for travelers….Toronto is a big, bustling multicultural city, with attractions that will appeal to a variety of people: culture lovers, sports lovers, nature lovers, shoppers, foodies and those who like to explore off the beaten track….